How long are Virtual Machines stunned for Snapshots and vMotion? With vSphere 6.0 you can migrate Virtual Machines across virtual switches. 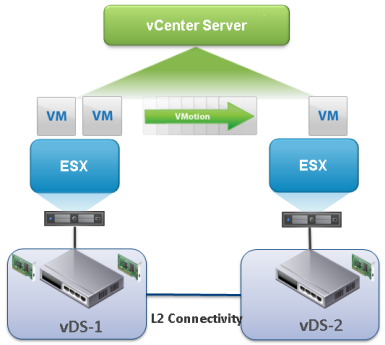 The new vMotion workflow allows you to choose the destination network which can be on a vSwitch or vDS. This feature eliminates the need to span virtual switches across two locations. Nevertheless you still have to span the subnet between both locations because vMotion does not change the IP address.